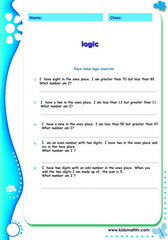 Math worksheets on logic, children in 2nd, 3rd, 4th, 5th, 6th and 7th Grades. 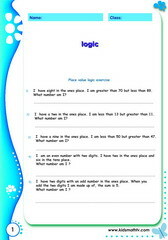 Math worksheets on logic for children from 2nd to 7th grades. Improve your kid's thinking ability based on logic problems in math. These activities easily relate to daily activities kids are fund of carrying out. 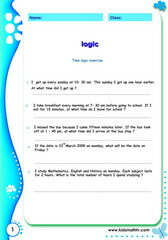 This page features math logic tests related to time, addition, subtraction, algebra and more.Remember these activities have answer keys attached to the second page, making them easy for use by teachers, parents and kids of this grade. 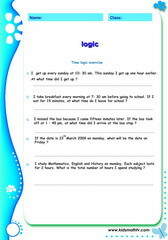 Also remember to get more practice by playing the logic games on this site or by watching relevant videos.